*7 days a week 24/7 - 365 inc evenings, weekends & bank holidays.
" We build networks anywhere not just for home and business." " We've installed ethernet network cabling inside and outside in houses, flats, cottages, sheds, lofts, gardens, trees, farmyard barns, warehouses, offices, medical clinics, veterinary clinics, bars, pubs, hotels, tower block roofs, data centers, universities, water towers, church roofs lychgate and steeple, cellars and boiler rooms. " We have a vast and diverse ethernet network installation portfolio. We have experience incorporating single ethernet cables using cat5e or cat6 in a home office, multiple cables and wall sockets in larger networks in offices, rite through to installing external rated ethernet cable for point to point radio links on the roof of universities. 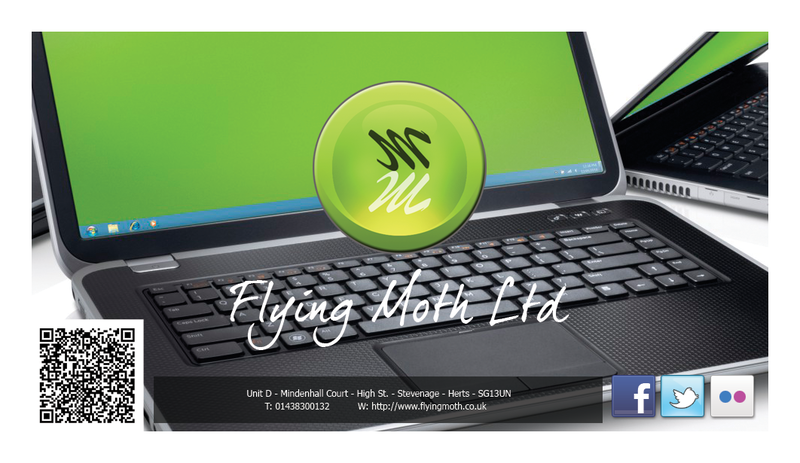 Flying Moth Ltd has built high quality ethernet networks of indoor and external rated cat5e and cat6 cable and run cable in a highly varied number of locations including, houses, flats, cottages, sheds, lofts, walls, sloped roofs, flat roofs, gardens to inside houses through walls, trees, farmyard barns, warehouses, offices, chiropody + chiropratic clinics, veterinary clinics, bars, pubs, hotels, tower blocks, data centers, universities, water towers, church roofs lychgate and steeple, cellars and boiler rooms. We have installed cable runs in Plastic Trunking, Copex, Cabletray, Underfloor, Suspended Ceilings, Dry Risers, Outdoor environments and Brickwork. We can install just single ethernet cables with or without a wall box at each end. We can supply custom length RJ-45 terminated ethernet cables for loose laying. We only use top quality ethernet cabling normally supplied by connectix/bt cables and never unbranded cheap chinese cable. We terminate ethernet cabling onto patch panels in open frame racks, wall mounted cabinets or free standing racks. We install surface mounted or in dry wall euro network sockets in single, double, triple and quad ports per backbox which is the maximum per unit, our modules are the highest quality normally supplied by connectix and never unbranded cheap chinese built modules. We only supply and install trusted known branded network switches such as tp-link, d-link, netgear, linksys and cisco and never unbranded cheap switches. We install networks from scratch but are also happy to terminate pre-installed cable by a third party and often find our engineers having to pick up the pieces where unskilled and untrained inexperienced eletricians have been asked to install or run-in cable and actually damaged the cable in the process or completely messed up the job leaving the customer with a network that doesnt work until we fix things. Our network design model flow is broken down step by step during the design process. We start at the point of initial customer contact gaining detail on the customers initial requirements. Next, we carry out a site survey taking into consideration design requirements of the network topologys environment, we also include user requirements, network service requirements, project budget and ongoing support requirements. Upon realisation of the actual scope required for completion of the project we will produce initial solution schema and topology designs, we then consult the customer with regards to the best solution neccessary for the project which will finish in project refinement, culminating in the final network topology design for installation. We work closely with our clients every step of the way ensuring the finished project is always tailored to the individual requirements and specifications of the customer. We understand that network expansion can sometimes be a delicate mission critical process where downtime is not available and which should not compromise the existing IT network in place or affect the business. Indoor Cat5e ethernet cabling installation. Indoor Cat6 ethernet cabling installation. External Cat5e ethernet cabling installation. External Cat6 ethernet cabling installation. Installation of wall mounted euro network sockets in single, double, triple and quad ports. Termination of ethernet modules on cable. Termination of cat5e and cat6 ethernet cabling into RJ45 connectors. Termination of cat5e and cat6 ethernet cabling into euro modules. Termination of cat5e and cat6 ethernet modules onto patch panels. Termination of cat5e and cat6 ethernet cabling into ethernet modules in floor boxes. Installation of small open frame wall mounted coms racks. Installation of wall mounted coms cabinets. Installation of floor standing cabinets. Installation of rack shelves and utility cabinets. Installation Of UPS Battery Backup Devices. Installation Of Power distribution / Surge protection. Houses, lofts, cottages, sheds, garages and gardens. Offices, business units, clinics, garages, meeting facilities, waiting areas. Community centres, churches, village halls. Incorporating structured cabling solutions from leading networking infrastructure manufacturers.
" We only install top quality cable, patches and modules generally from connectix/bt cables or minitran and never cheap unbranded chinese products. " 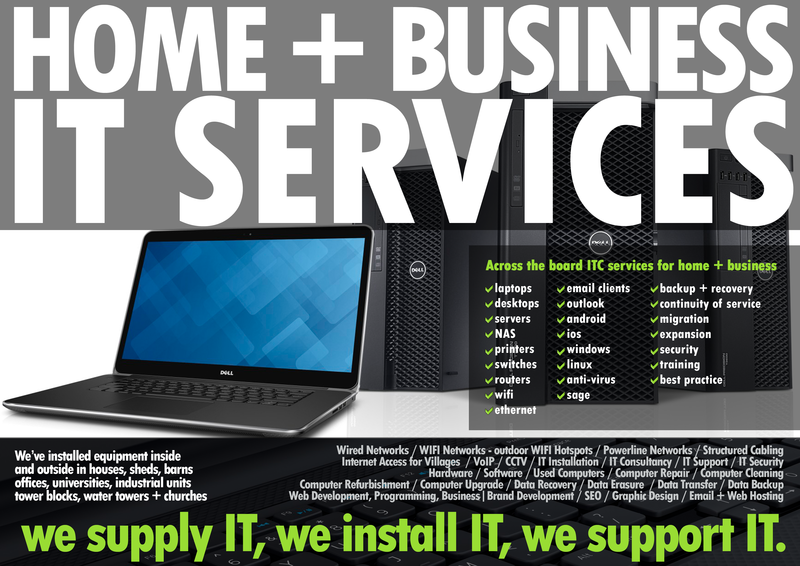 Incorporating the latest best of breed technology from leading networking hardware vendors.
" We build networks for all budgets without supplying cheap unbranded equipment, while focusing on best of breed network solutions from leading manufacturers. Where possible we can incorporate recycled IT technology products and green energy star low power consumption devices. Brands We supply and build networks with include Cisco, Linksys, TP-Link, D-link, Trendnet, Netgear, APC and more including specialist product manufacturers and custom handmade hardware solutions we build in house. " If the power goes down the network doesn't.
" Our networks can be fully power redundant utilizing ups battery backup solutions, that means if the mains power goes off the network is still working. " We predominately cover Hertfordshire, Bedfordshire, Cambridgeshire, Essex and North London but can travel anywhere in the UK. pre arranged rate charged per hour for the first hour then half-hourly after for the whole time the engineer is away from base on your behalf, travel time to and from our office included, the clock starts when the engineer leaves and finishes upon return, however we only charge the standard time stated by the sat nav on normal travel condition days, therefore you will not be charged extra for sitting in traffic jams etc. ie travel to site time is 30mins and site time is 30mins, 30 mins of the first hour has already been used upon arrival at site , 30 mins work time and 30 mins travel back to base - total bill 90mins. 9am - 6pm normal time. 6pm - 9am time & a half. Saturdays & Sundays - time & a half. Bank holidays - double time. If upon arriving and you have changed your mind etc without phoning to cancel before the engineer leaves to attend your appointment then you agree you will be liable for and will be charged a fee of £40.00 plus travel expenses. Following a site survey/s and all relevent planning, a full itemised quote is issued to and agreed with the customer before installation takes place. All invoices are due for immediate payment as in any normal shop, we do not provide any credit options, we expect customers to pay as promptly as they expect the work to be carried out. All Customers agree to pay same day of invoice issue or within 24 hours maximum, we do not allow 30 days or 30 days from end of month, if an invoice remains unpaid after 21 days a statutory demand for payment would be issued. We do not accept cash paid in over the counter in branch. Want us to build your network? Need some ethernet cabling connected? Call customer service on 01438300132 for a quote, to book a site survey or an installation appointment with one of our ethernet network engineers. If the signal of your wifi network doesnt reach a certain area of your property, leaving you with dead spots or low bar coverage, we can expand your wifi network to give you strong wifi coverage where you previously didn't have any at all, so your whole property has wifi including outdoors. If you can't print from your wifi printer we can help you. We provide onsite wireless printer installation, WLAN configuration, wifi printer setup and troubleshooting of wireless printer problems including wireless network settings and lost wireless connections for windows, linux and mac. Connection of wireless printer to non wireless network. Installation, testing and repair of cat5e and cat6 ethernet wall sockets and data outlets. Working with computers and the cloud for home and business customers since 2006, we are a company based in Stevenage Hertfordshire providing computer networking and ethernet network installation services for home, soho, sme & enterprise. Copyright © Flying Moth Ltd 2019 All Rights Reserved. 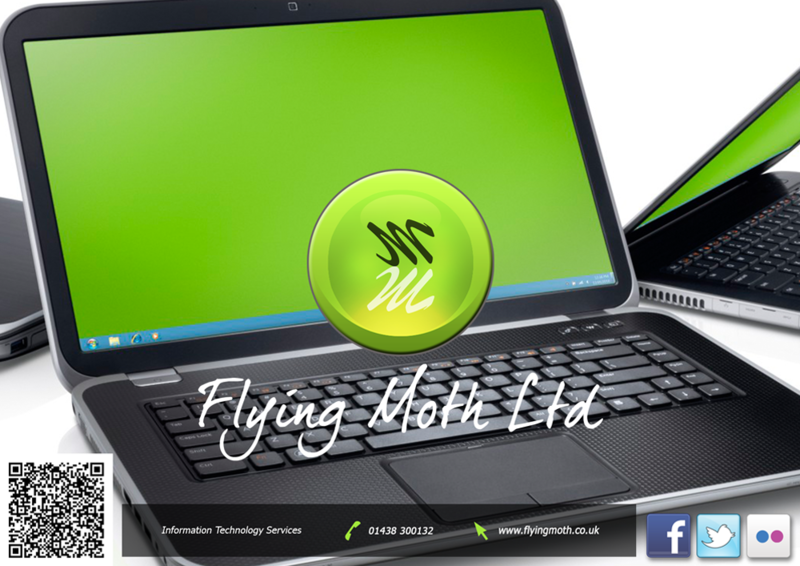 Flying Moth Ltd. is registered in England. Registered no: 5713032.